This month, I was delighted to be asked to speak on a panel at Wayra’s Telefonica Summit, which was about disruptive technologies and where we see them heading. There were some interesting points raised that I hadn’t considered, or in some instances even heard of, before. I was surprised to hear that some couples, prior to marriage, are now getting their genetic profiles analysed. Whilst this could be reassuring, I worry that this data could be unreliable, lead to complacency in lifestyle, or of course, cause upset if there aren’t treatments available. Consumer health tech is moving so quickly and it’s exciting to be in the midst of it. The main focus for MedCity at the moment is London Tech Week in June; we are joining up with Asthma UK, DigitalHealth.London and London Tech Advocates to host an event for digital health SMEs. We aim to provide insight into the region’s healthcare demands that require tech solutions, as well as the funding streams available to companies to help get their ideas off the ground. We will have space for about 200 attendees so do register your interest here and we will be announcing the speakers over the next few weeks. We are partnering with Cedars-Sinai Hospital in Los Angeles to run an event looking at how digital technologies are supported to work with healthcare systems in different markets. We will be discussing the work of DigitalHealth.London and the Cedars-Sinai Accelerator – powered by Techstars. We will be sharing ways of working and looking for opportunities to work more closely together. If you are going to be at BIO, or are interested in attending this event, which will take place in Los Angeles on the afternoon of Thursday 22nd June, please do get in touch. We are also partnering with the BIA on an evening event on the evening of Monday, 19th June, at BIO – more on that to come. The British Library has selected a consortium, led by property developer Stanhope, to develop a 2.8 acre site to the north of the Library as a major new centre for commerce, knowledge and research. Alongside the extension to the library, the development will include new life sciences space and a bespoke headquarters for the Alan Turing Institute, the national centre for data science research. We have joined up with Asthma UK, DigitalHealth.London and Tech London Advocates HealthTech group to host an event to provide digital health SMEs with insight into the real health demands of our region’s population and how they can access funding to grow their ideas. We spoke with neuroscientists at universities, pharmaceutical companies, research councils and charities within the region, to find out about their research and initiatives. Find out what they had to say in our new report around translational neuroscience happening across the golden triangle. Two new buildings are being constructed for growing bioscience-based companies, following significant investment into 8 acres of land at the Babraham Research Campus in Cambridge. The locations for the five UK DRI centres have been revealed, with Imperial College London and King’s College London set to join the national institute alongside University College London. 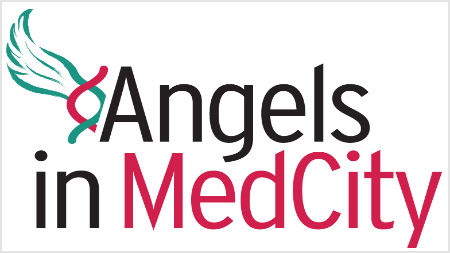 Angels in MedCity helps two more companies raise over 1m! A life sciences sharing platform and a biopsy triaging system are the latest companies to raise funding through our community of angel investors. We are pleased to announce that Gill Jennings & Every LLP and Zühlke Engineering have joined the Angels in MedCity team, providing specialist expertise to help companies prepare for pitches and develop their products. MedCity was established in April 2014 by the Mayor of London with the Higher Education Funding Council for England between the capital’s three Academic Health Science Centres – Imperial College Academic Health Centre, King’s Health Partners and UCL Partners. The next edition of MedCity Update will be sent in May 2017.